In summer, male Bar-tailed Godwits go completely brick-red underneath from bill to tail. 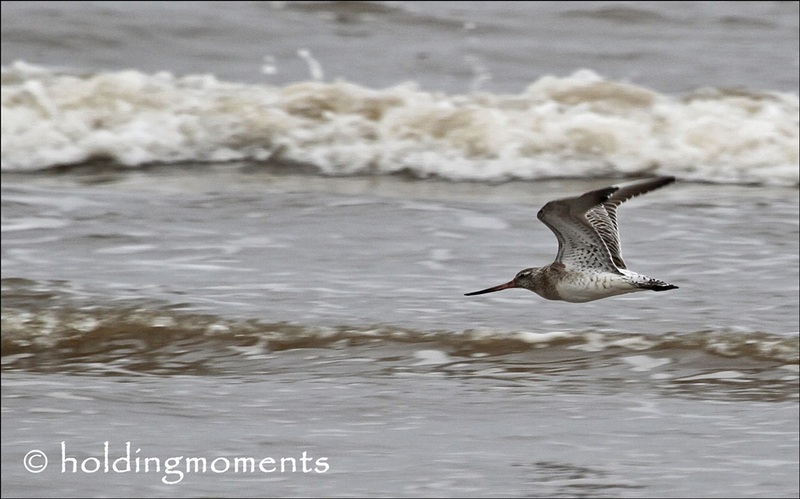 They also differ from Black-tailed Godwits in their shorter legs and the lack of a wing pattern. In flight they resemble small Curlews with generally brown upper-parts, except for the triangular white rump and pale barred upper-tail. However, they have slightly up-turned rather than obviously down-turned bills.